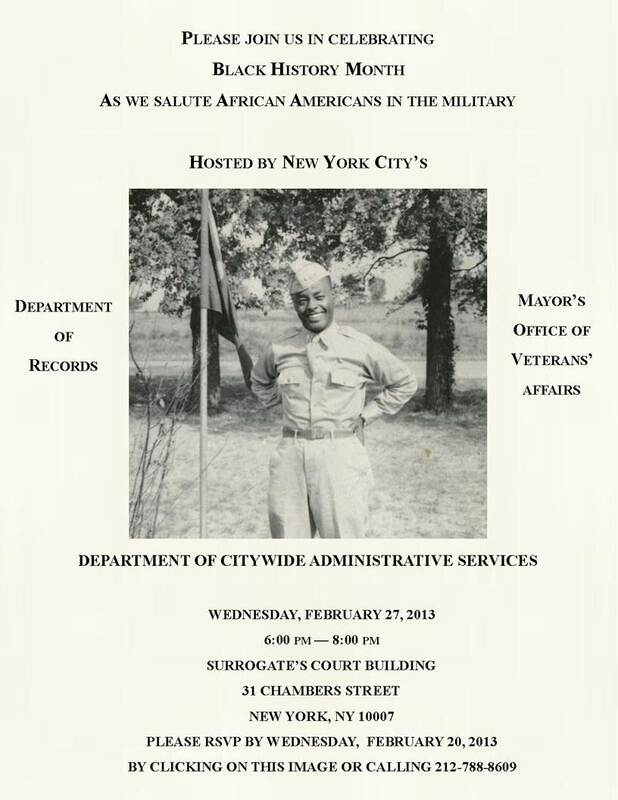 Hosted by New York City's Department of Records, Mayor's Office of Veterans Affairs, and the Department of Citywide Administrative Services. Date/Time: Feb. 27, from 6 p.m. to 8 p.m.
Place: Surrogate's Court Building, 31 Chambers St.
Info: Reservations are necessary. RSVP by Feb. 20 by calling (212) 788-8609. "2013 Black History Month events in New York"